From the editor: These days there is no avoiding the term NPS (or Net Promoter Scores) as companies look for a silver bullet to fix the customer experience. On a local level, AMP and Medibank have recently introduced an NPS methodology in a hope it will turn their respective customer experience around and there are many more who are already on the journey or are looking at it. 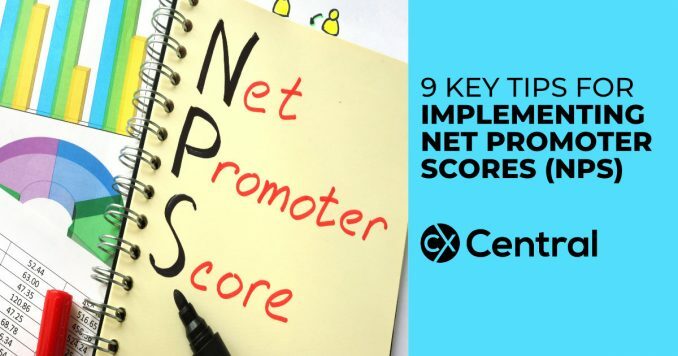 To learn more about NPS you can listen to our Podcast where we explore the basics behind NPS and some of the common traps. Listen here. Bruce Temkin, from the Temkin Group (who has presented in Australia), recently released his latest advice for using NPS. We rarely see a company succeed or fail based on the specific metric that it chooses. That doesnt mean that you can choose a ridiculous metric, but most reasonable metrics provide the same potential for success (and failure). In general, NPS is a reasonable metric to chose, as our data shows that it often correlates to customer loyalty. As organisations mature, we try to get them to use metrics that are more closely aligned to their brand promises. Instead of obsessing about the specific metric being used, companies need to obsess about the system they put in place to make changes based on what they learn from using the metric. 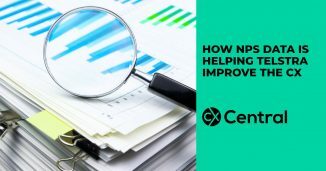 Successful NPS programs systematically take action on insights they uncover. If the program is working well, then the company isnt debating scores. Instead, theyre continuously making changes to create more promoters and eliminate detractors. The most important thing you can do with NPS is to understand what is driving NPS. It turns out that the things that create promoters are not just the opposite side of the issues that create detractors. So you need to separately identify changes to create promoters and decrease detractors. All too often, companies just focus on detractors. This helps to fix problems, but it does not identify opportunities to propel your organisation. By focusing on what causes promoters, you will get the opportunity to engage the organisation in uplifting discussionsinstead of just beating the drum about whats broken. The approach for sampling often has a very significant impact on NPS results (and results from other metrics as well). If you have multiple segments of customers and they each have a different NPS profile (as many do), then your overall NPS can change wildly based on the mix of those customers that are included in the NPS calculation. In B2B, this may come from combining results from enterprise accounts with smaller clients, or mixing responses from executive decision makers and end users of your products. In B2C, the variance may come from mixing data between new customers and repeat customers. Asking people if they would recommend a company isnt a good question to use after an interaction. If a customer is a detractor on an NPS survey deployed right after a call into the contact centre, for instance, then it doesnt necessarily mean that there was a problem with that interaction. The contact centre might have done a great job on the call, but the customer may still dislike something else about the company. If the contact centre interaction had been problematic, then the customers NPS score might be temporarily lowered and not reflective of the customers longer-term view of the company. Since NPS asks about the likelihood to recommend a company, it actually reflects the actions of more than one person. So if you want to look for someone to hold responsible for NPS results, think about making it a shared metric across a large group, not an individual KPI. Many companies that fall in love with NPS, start applying it to every part of their business, trying to give everyone their own NPS. While it’s worthwhile to look for improvements across the business based on NPS, you run into problems when you try to create too many levels of NPS. When an organisation shares a common metric (like NPS) and its people collectively have some compensation tied to it, then it can help align everyones focus on customer experience. But if the compensation gets too significant, then people start focusing too much on the numberquestioning its validity and strong-arming customersinstead of looking for ways to make improvements. Remember, the majority of your discussions should be about making improvements, not data. NPS is an inherently jittery metric; theres only a porous line keeping passives from becoming promoters or detractors. And the situation is magnified by the sampling issues described above. Thats why we see many customer insights group wasting a lot of time running around trying to explain small movements in their companies NPS, as leaders overreact to small movements. Instead of setting NPS goals as a specific number, consider defining a range (similar to a process control chart). As a start, think about adopting a 3- to 5-point range. That way you only react to results outside of the range or multiple periods of increases or declines. When people talk about closed loop and NPS, they often mean contacting customers after they answer the NPS question. But that immediate response is just one what we call the four customer insight-driven action loops: Immediate response, corrective action, continuous improvement, and strategic change. Any NPS program should put in places processes to close all four loops. The bottom line: NPS success comes from the process, not the metric. If you need help with implementing or optimising your Net Promoter Score program you’ll find specialist suppliers in our Business Directory. 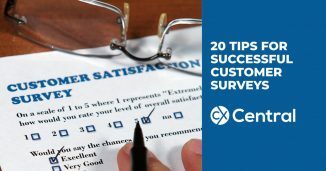 What’s the difference between customer satisfaction and customer experience? 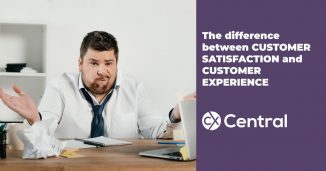 We examine the difference between customer satisfaction and customer experience and why the difference matters to your customers and business.